COLE HARBOUR / TORONTO (February 12, 2011) – The National Hockey League Players’ Association (NHLPA) Goals & Dreams fund has donated 87 complete sets of brand new hockey equipment, in conjunction with Sidney Crosby and the Sidney Crosby Foundation, to 10 minor hockey organizations throughout Crosby’s home province of Nova Scotia on Saturday. The equipment donation, valued at more than $40,000, was announced during Scotiabank’s Hockey Day in Canada on CBC in a live interview between Ron MacLean in Whitehorse, YT, Canada, and Sidney Crosby in Pittsburgh, PA, USA. NHLPA Goals & Dreams representatives Devin Smith and Matt Langen were in Crosby's hometown of Cole Harbour, Nova Scotia, to distribute the equipment to the deserving children and participate at a remote location for Scotiabank’s Hockey Day in Canada on CBC. “It’s exciting for me that through the NHLPA Goals & Dreams fund and my foundation, many deserving children in my home province will now have the opportunity to play hockey, ” said Sidney Crosby, captain of the Pittsburgh Penguins. In 1999, the members of the NHLPA created the NHLPA Goals & Dreams fund as way of giving back to the game that has given them so much. The players’ program has donated full sets of hockey equipment to deserving children in 23 countries. More than 60,000 children have been able to play the sport of hockey thanks to the NHLPA membership. 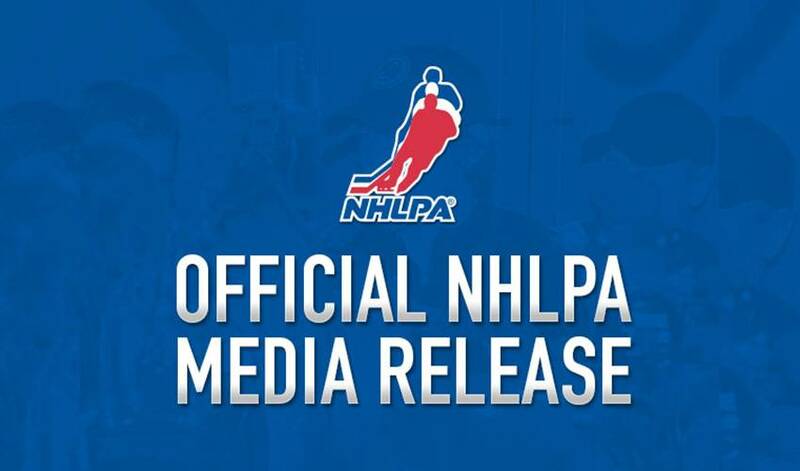 NHLPA Goals & Dreams has donated more than $19-million to grassroots hockey programs in the past 11 years, making it by far the largest grassroots hockey program in the world. The Sidney Crosby Foundation was established in 2009 to enhance the lives of children and benefit children's charities.